When Martine and I were in Calgary in 2010, Martine and I saw an exhibit entitled “The Baroque World of Fernando Botero” at the city’s Glenbow Museum. (Other than the fish and chips, it was the only thing I remember really liking about the city.) It was my first acquaintance with the Colombian artist other than an odd book cover or two, and I found myself liking his vertically challenged and horizontally enhanced vision. 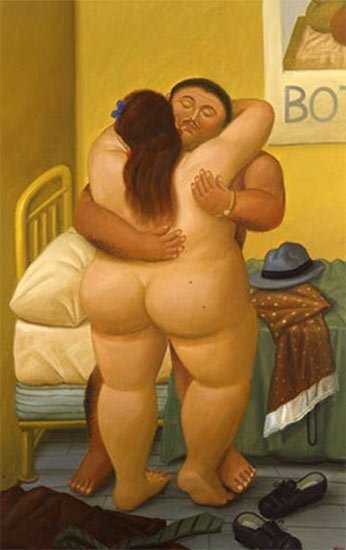 Born in Medellin, Colombia, in 1932, Fernando Botero has developed a unique style in both painting and sculpture. To see a gallery of his work, click here. Is that an apple atop her head? Do You Know Anyone Whose Opinion Was Changed by One? There are parts of town where I would not like to advertise my political beliefs, such as in Orange or San Diego Counties. My car is not a new one, but at least it still runs for now. 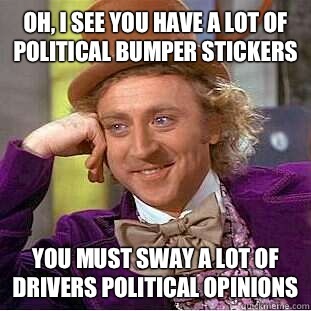 Bumper stickers are a lot like tattoos: They’re a lot easier to apply than to remove. As for myself, this blog is my bumper sticker. If, after reading it, you think I am a political conservative, you must not have read it very carefully. Most tourists visiting South America tend to follow a well-beaten path to such destinations as Iguazu Falls and Machu Picchu. This is so pronounced in Peru that there is a roughly U-Shaped itinerary known as the Gringo Trail. It stretches from Lima south to Arequipa, occasionally taking in such stopovers as Paracas, Nazca, and the Oasis of Huacachina. Then, around Arequipa, there is Colca Canyon (twice as deep as our Grand Canyon), and the even more remote and even deeper canyon at Cotahuasi. From there, the tourist usually heads of Cusco, Machu Picchu, and Lake Titicaca. Backpackers frequently continue on to Copacabana and La Paz in Bolivia and on south. In September, I myself will be hitting the Gringo Trail. The difference is that I will be avoiding two groups of people that constitute most of the tourists: backpackers and charter bus tour groups. I will probably encounter some of the same people several times, but I will likely not be traveling with them; and I won’t be staying in neither youth hostels nor five star hotels. I don’t mind the backpackers that much, but I dislike getting stuck in a party hostel in which the drinking and loud talk continue far into the wee hours of the morning. It will actually b quite a challenge to be taking the Gringo Trail while avoiding other travelers. There are other sights in Peru beyond the Gringo Trail, but first I have to see to what extent I am affected by soroche, acut mountain sickness. It would be nice some day to visit Ancash, Huancayo, and Huancavelica. As for the Amazon areas, no thanks: I loathe mosquitoes. Set your Wayback Machine to about seventy-five years ago. 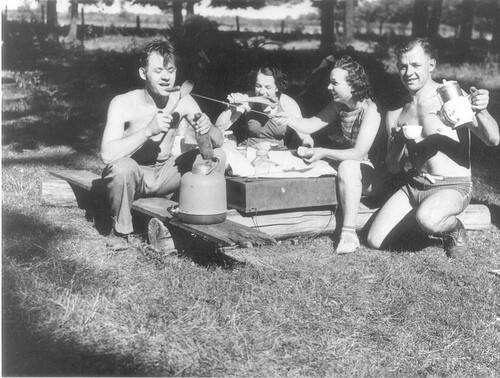 At one of Cleveland’s many parks, you would see those two irrepressible Slovak twins—Elek (Alex) and Emil Paris—and their girls having a Hungarian-style picnic. The entrée of choice is likely to be szalonnás kenjer, or sliced rye bread with chopped onions, paprika, and smoked bacon drippings. On the left is Elek, my father, with either a girlfriend or his first wife, who was said to be overweight. Next to her are my Aunt Annabelle (née Herbaj) and Uncle Emil. It was a scene to be repeated well into my teen years, except the girlfriend/first wife was replaced by my mother. to tell me what is happiness. I’m not altogether sure about the accordion. The Paris brothers were too busy eating to sing. On the other hand, when I went to Slovakia with my parents in 1977 (it was then part of Czechoslovakia), we sang all the old songs with my pretty cousins Gabriela, Margit, and Marinka (the last two being themselves twins). A brief note about nationality: Like the Kurds, the Slovaks were a cohesive people for hundreds of years before ever having a country of their own, until Vaclav Havel, last President of Czechoslovakia, granted them their independence in 1993. When my father and uncle were born in 1911, Slovakia was a part of the Austro-Hungarian Empire that was administered by the Hungarians. In the end, my father spoke better Hungarian than Slovak; though I found out as early as 1977, Hungarian was spoken only by the old people. How Can We Stop Thinking of Them? In the minds of many Americans who live in the so-called Red States, their values are under siege. They believe that what made this country great was heterosexuality, Evangelical Christianity, racial and ethnic homogeneity, unregulated gun ownership, and overall lack of government interference in their lives. Back in some Golden Age, people did not need a handout to survive. Of course, many did not survive because life was hard and old Doc Peabody just didn’t know how to do anything but dispense aspirin. One result is the growth of a political movement to turn back the tide of history. So we have people whose main strategy is denial. Denial of science, of demographic change, of agnosticism, of the urban poor. Life for the Tea Party and their camp followers is one of nullification of what they do not understand. And since they do not try to understand anything outside their narrow orbit, it is an ultimately defeatist stance of a party in retreat. 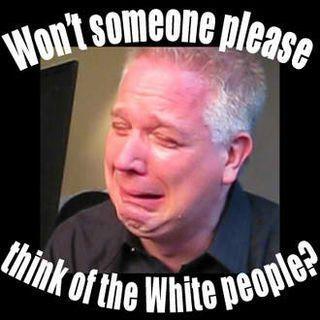 Yesterday, I read an interesting article by Christopher S. Parker called “Whither the Tea Party? The Future of a Political Movement,” published by the Brookings Institution. Click the link labelled “Download the paper” for the complete text. Some may question whether or not this is really an “astroturf” [as opposed to grassroots] movement, one that wouldn’t survive in the absence of support from the Koch Brothers, or other big-money funding sources. But Tea Party membership has continued to grow over the last year. As IREHR [Institute for Research and Education on Human Rights] indicates, this was during a time when big-money donors were all but absent: 82 percent of the donations to five Tea Party affiliated organizations were un-itemized individual donations, which are capped at $200, and 97 percent of the itemized contributions to three national Tea Party affiliated Super PACs—Freedom Works for America, Patriot Super PAC, and Tea Party Patriots Citizens Fund—failed to exceed $1,000. This suggests that the Tea Party movement isn’t “astroturf.” It’s a real grassroots movement, one that will likely be around a while. As long as there are white Americans in the former Confederate States of America and Great Plains who feel disenfranchised, there will either be a Tea Party to minister to their needs. Or else, more likely over time, their needs will act as yeast in a Republican Party that has been largely taken over by their political and social agenda. Change will not stop because it is in the interests of a large bloc of the U.S. population to halt it in its tracks. Over the long haul, there will be a continuing battle that will resemble some of the political battles of the Nineteenth Century over Free Silver and the Nativists. I expect it will be ugly, even if it is a losing battle: There will still be casualties on both sides. If my upcoming Peru vacation is a success, it will be because I was able to withstand life at 12,000 feet (3,650 meters) altitude. 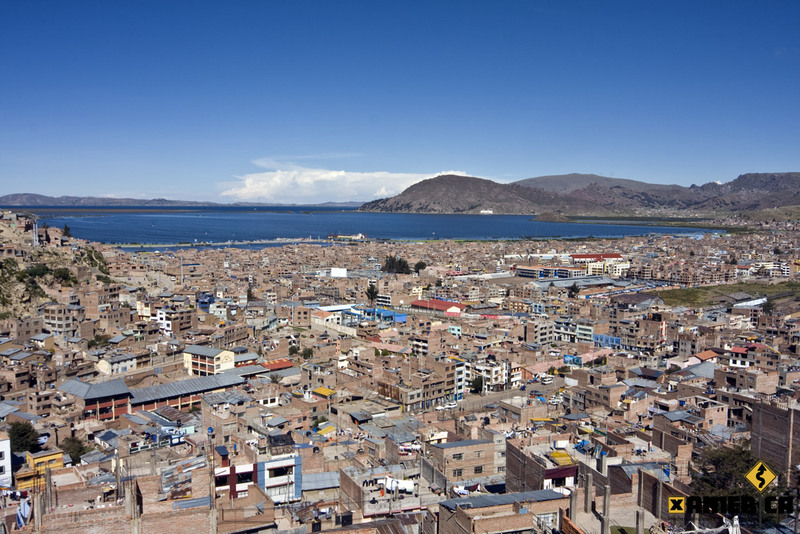 The high point (both literally and figuratively) of my trip will be at Puno, a somewhat ungainly city on the shores of Lake Titicaca. 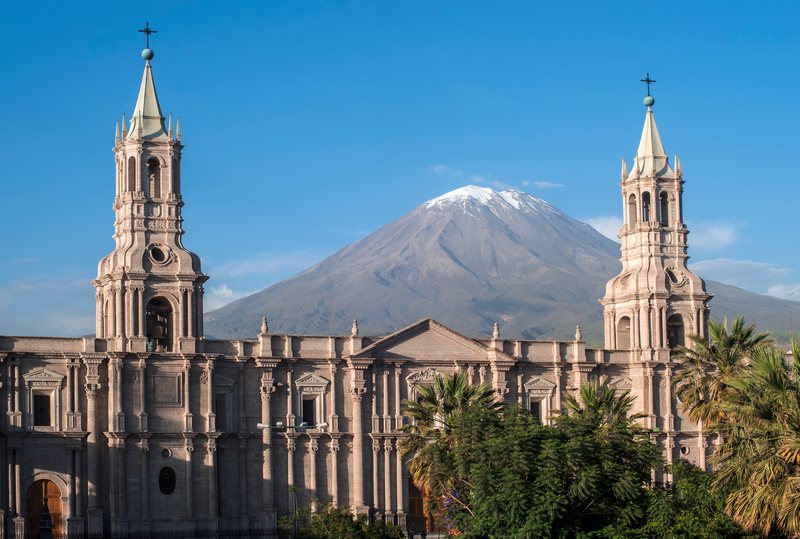 There will be short times during which I will be at 15,000 feet (4,570 meters) or more as I go over mountain passes between Arequipa and Chivay, between Arequipa and Puno, and between Puno and Cusco. The hotel at which I will be staying—the Casa Andina Classic Tikarani on Jirón Independencia—provides oxygen for its guests as well as mate de coca if I am beginning to feel the onset of acute mountain sickness, or soroche, as the natives call it. If I find I can take the altitude, I’ll spend a night on Isla Taquile, which involves a 400 foot climb up a trail to reach the center of town. There, I will spend a night with one of the local families before returning to Puno by launch the next day. After Puno, I head downhill to Cusco, and later still further downhill to Ollantaytambo and Machu Picchu.